If your business is in need of Commercial Window Cleaning and need a professional company, you have come to the right place. At Premier One Cleaning, our commercial window cleaning service is second to none. We go above and beyond. Ensuring satisfaction starting at the first knock. 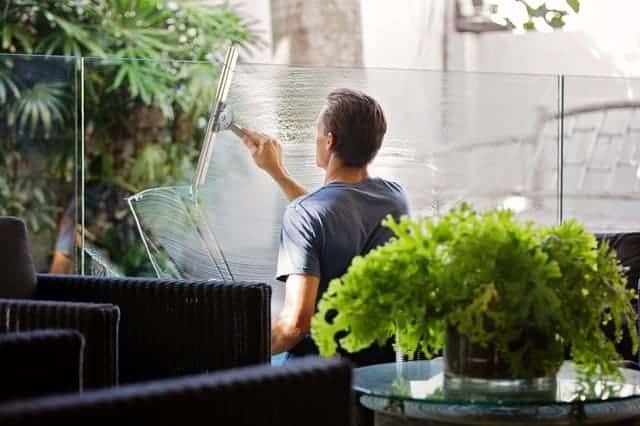 When our commercial window cleaning specialists show up at your at your place of business, they will be mindful and courteous of you and your clients. When you are in need of a service we will take care of you! Why choose Premier One Cleaning for all your commercial cleaning? We use the latest in window cleaning technology, to ensure your windows will stay cleaner longer! Our goal is to provide the safest and most professional window cleaning services at very competitive prices. We take pride in our work and strive to provide our customers with superior job quality. Along with unparalleled customer service. With Premier One Cleaning you are always guaranteed excellence at its best, or your window washing is free. We treat each customer as if they are our most important. We are very devoted to the work we do and strive to achieve the unprecedented results. No matter how small or big the project is. It is on these principles that we have earned a reputation with property managers and owners to be the best in our industry. In addition, our company cares much about sustainable living in the York area. That is why we are proud to do our part for the environment. We use a 100% biodegradable cleaning formula. Which also keeps your windows cleaner for longer. Call York Pa premier commercial cleaning experts today! We are always ready to welcome you!